As the withdrawal of the federal Education guidance made clear, state level advocacy and legislation is even more important in this new political landscape. On the same day that the Trump administration set back the rights of transgender students, New Hampshire moved forward. 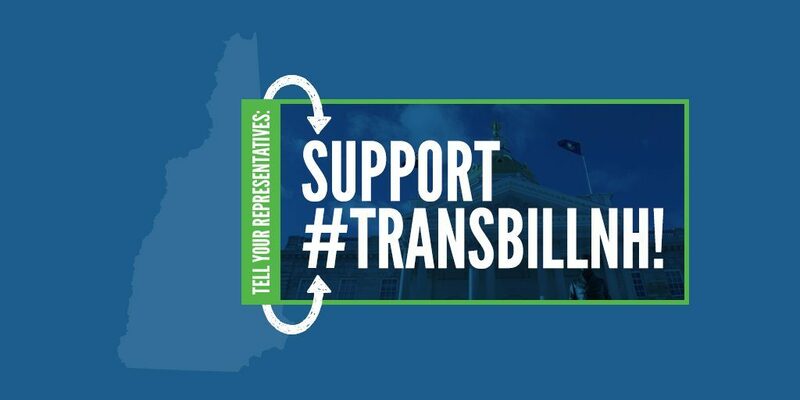 In a state with a Republican governor and a Republican-controlled state legislature, the transgender community won overwhelming, bipartisan support from the NH House Committee on Health, Human Services, and Elder Affairs, for HB 478. The bill would protect transgender people from discrimination in the state. In a 15-2 vote, which included 6 Republicans, the committee voted to recommend to the full House that the bill be passed. I will confess that we were shocked by the victory, let alone the margin! 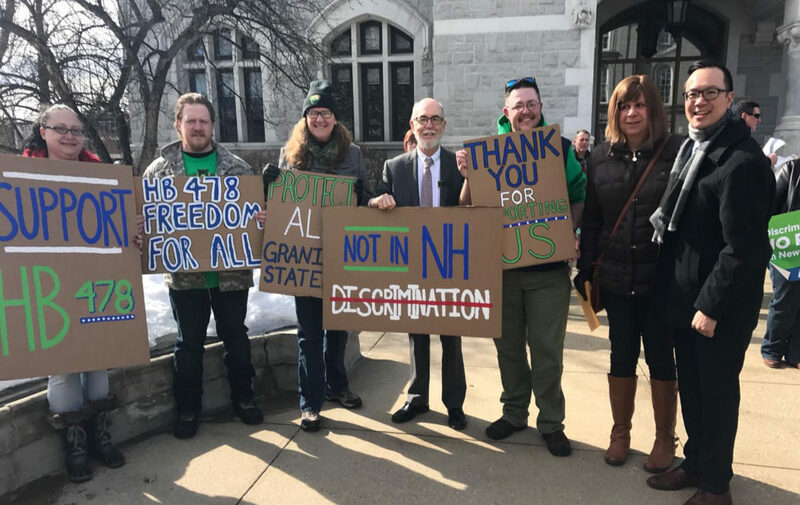 Just the day before the committee vote, the Freedom NH coalition, which GLAD helps lead with local and national partners, organized a powerful hearing that demonstrated how appealing to shared values and empathy can still move decent people to do the right thing, even in today’s polarized climate. Early on, we heard from Dave Juvet, the vice president of the Business and Industry Association (BIA), the NH state chamber of commerce. After hearing some hateful and hurtful words from the other side, Dave decided to ditch his written testimony, and instead respond. He told the committee: “Our trans brothers and sisters are human beings. They are valuable citizens and employees. They deserve the same civil rights.” Dave himself had not started out as a supporter, but after learning about transgender people’s lives, he was able to persuade BIA to vote in support of the legislation. Throughout the day, we heard from trans young adults, and their parents; trans parents; trans veterans; faith leaders; business leaders; teachers and school administrators: the New Hampshire Association of Chiefs of Police; the NH Coalition Against Domestic and Sexual Violence, and more. As the withdrawal of the federal Education guidance made clear, state level advocacy and legislation is even more important in this new political landscape. We still have an uphill climb in NH, with 400 legislators in the majority Republican house, but this first vote gives hope that we can still make progress during these troubling times.